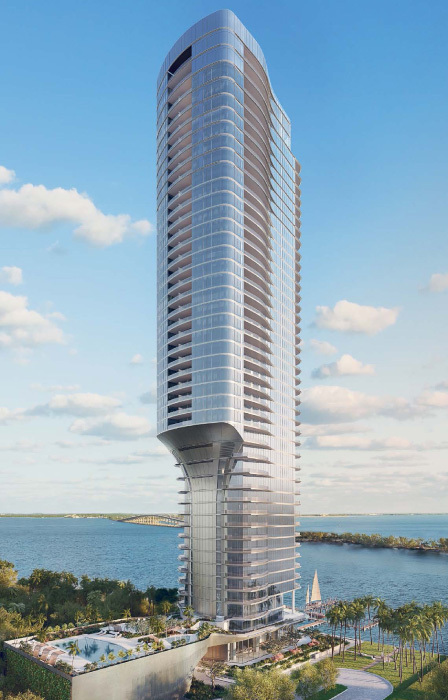 Developed by OKO Group, in partnership with the investment company Cain International, will turn a waterfront 25th Road site on South Brickell into the home of Una, a swooping 47-story luxury tower. 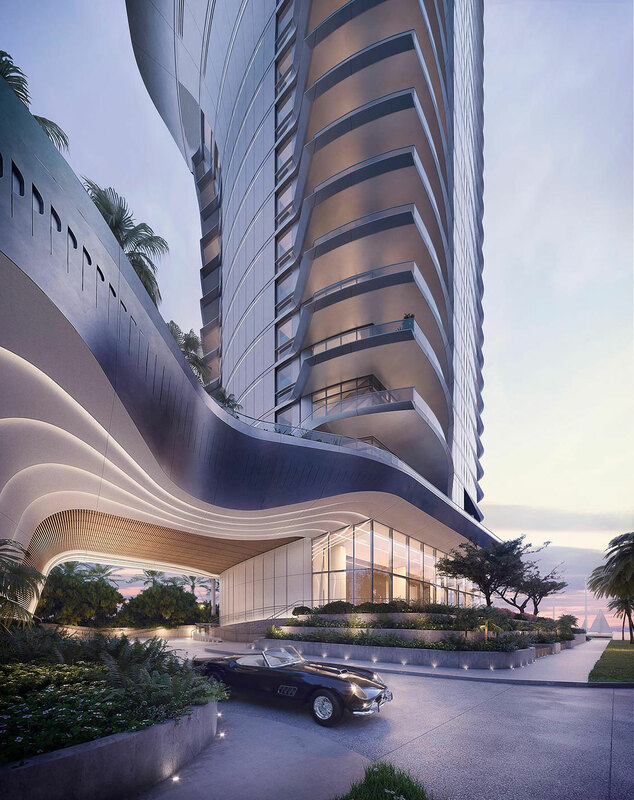 Designed by Adrian Smith + Gordon Gill Architecture, Una takes its inspiration from the elegant shapes and materials of classic yacht design. 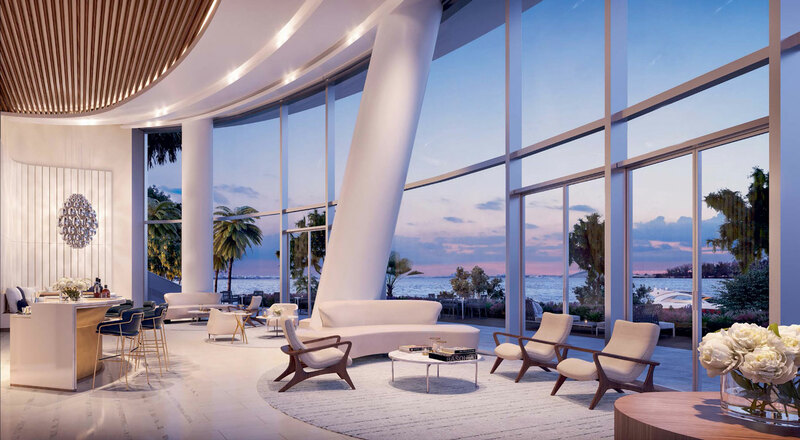 Instantly recognizable by the sweeping curve of its dramatic silhouette, the building’s glass surface brilliantly reflects the dazzling sunlight, while the floor-to-ceiling windows take advantage of a coveted setting on Biscayne Bay. Adrian Smith is world renown, having designed many landmark buildings including the two world’s tallest structures - Burj Khalifa in Dubai and Jeddah Tower now under construction in Jeddah, Saudi Arabia. 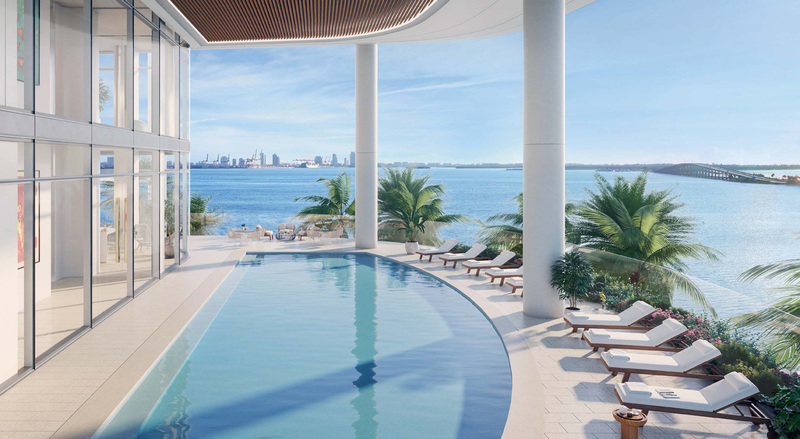 The striking architecture of the building will be complemented by lush gardens by world renown Enzo Enea, an extensive amenities program such as the spa and gym, elegantly envisioned by Vladislav Doronin the chairman of Aman, and private boat slips. 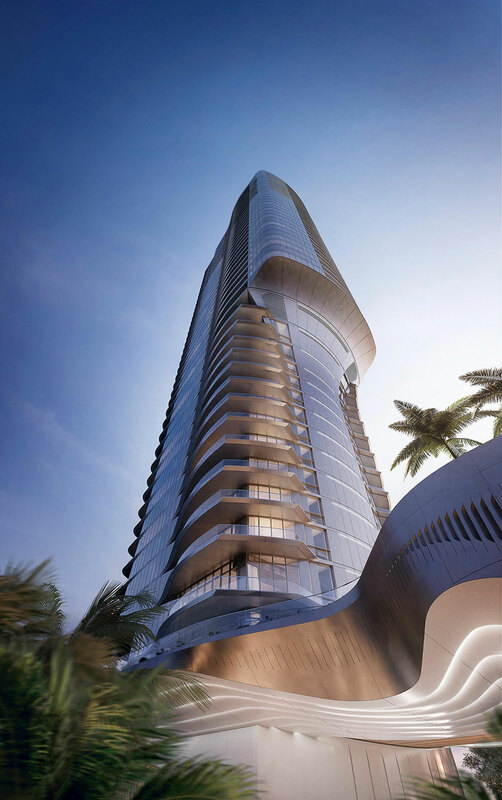 From a distance, the iconic 47-story tower is recognizable by its smooth, light-metallic surface and striking silhouette that recalls the natural shape of a wave. 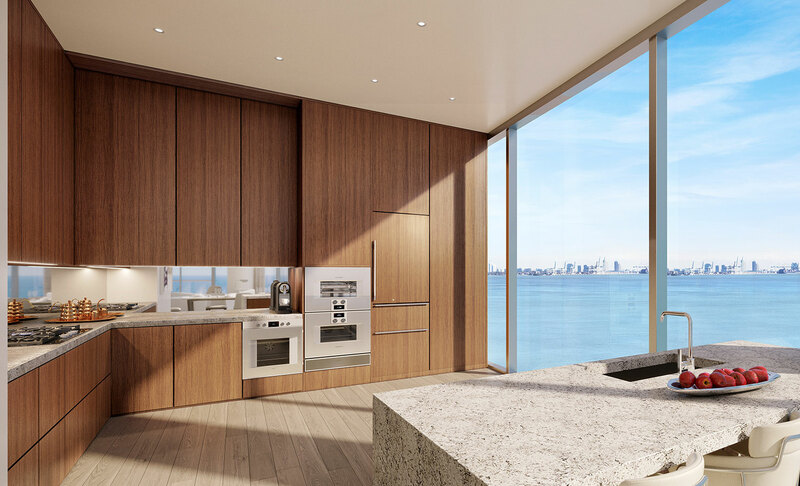 This thoughtful cantilevered detail maximizes views in every direction, from the city skyline to the Atlantic Ocean and Biscayne Bay. 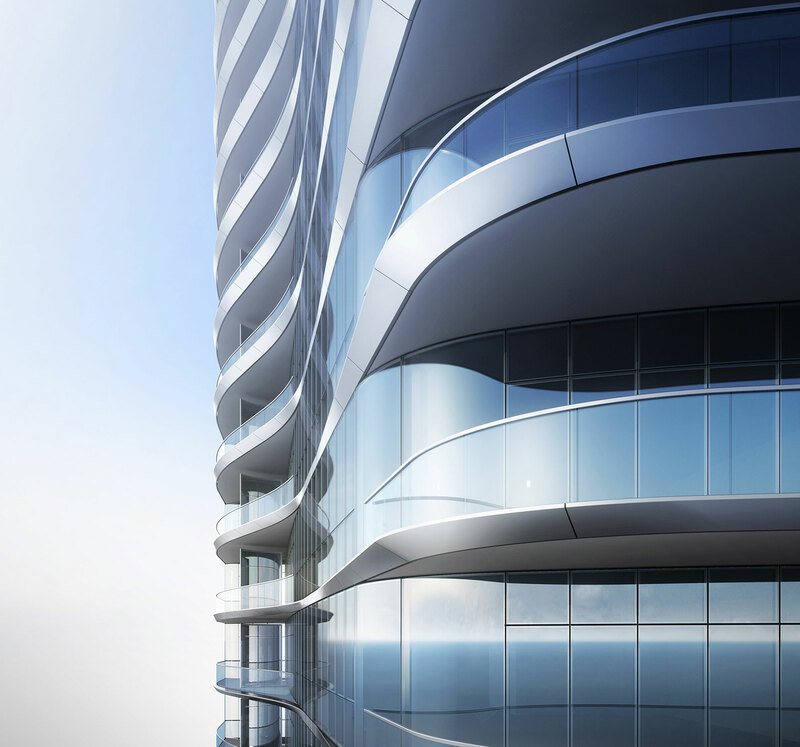 • Flow-through residences with east-to-west ocean and city exposures on the top floors. 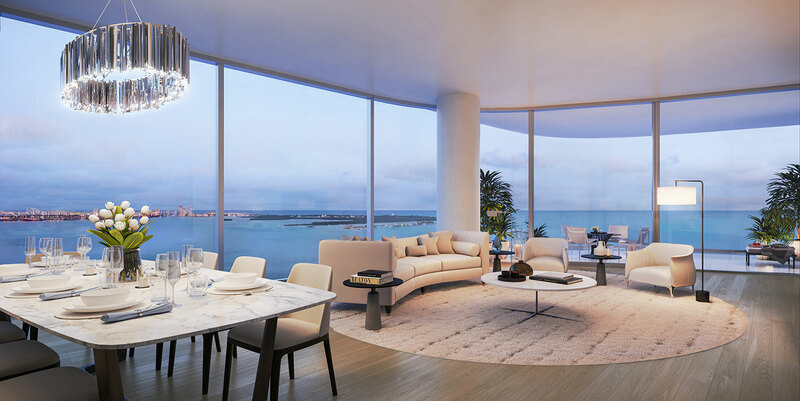 Known as the birthplace of the modern high-rise in Miami, Brickell’s rich history has continued to evolve, and the neighborhood has become Miami’s epicenter for fine dining, world-class arts, premium hotels, shopping, and cutting-edge architecture. 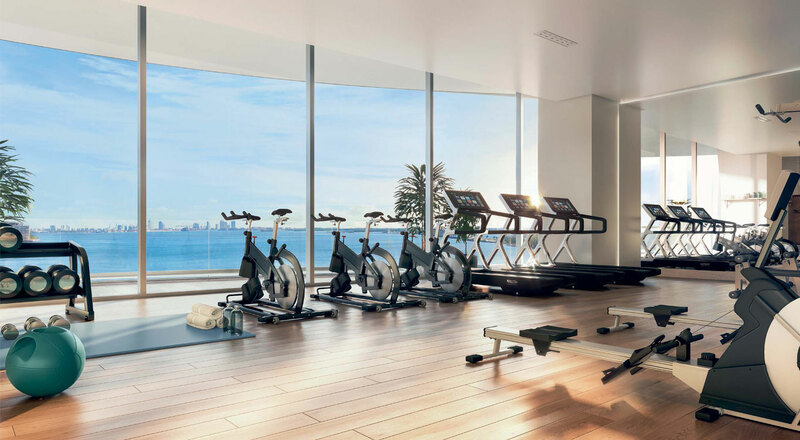 Una’s setting in scenic Brickell Waterfront offers residents the natural beauty of South Florida as well as all the conveniences of Downtown Miami. 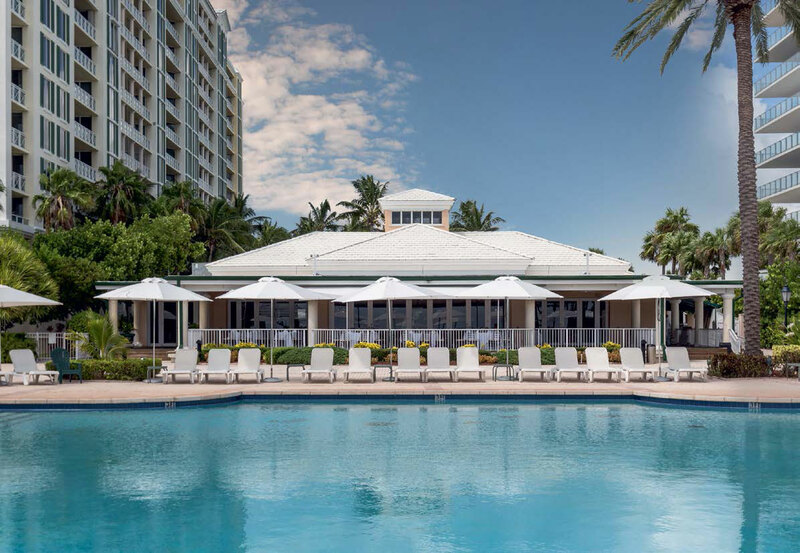 There’s direct waterfront access, walking paths, public parks, bike routes, and brilliant landscapes all around. This is a peaceful, idyllic residential neighborhood, with an abundance of dining, cultural, and retail destinations. Plus, the area offers plenty of options for activities— running, walking, biking, or boating—all just steps from Una’s front door. With excellent local schools, this is an ideal neighborhood for families. 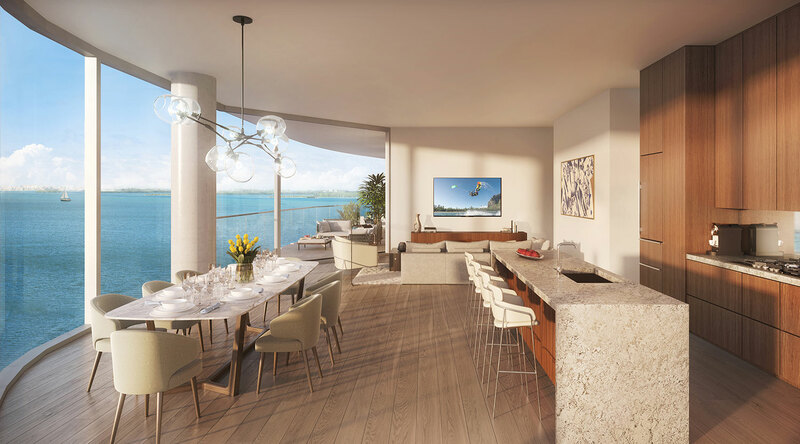 Una is also perfectly situated in close proximity to Brickell, Coconut Grove, and the beaches of Key Biscayne. 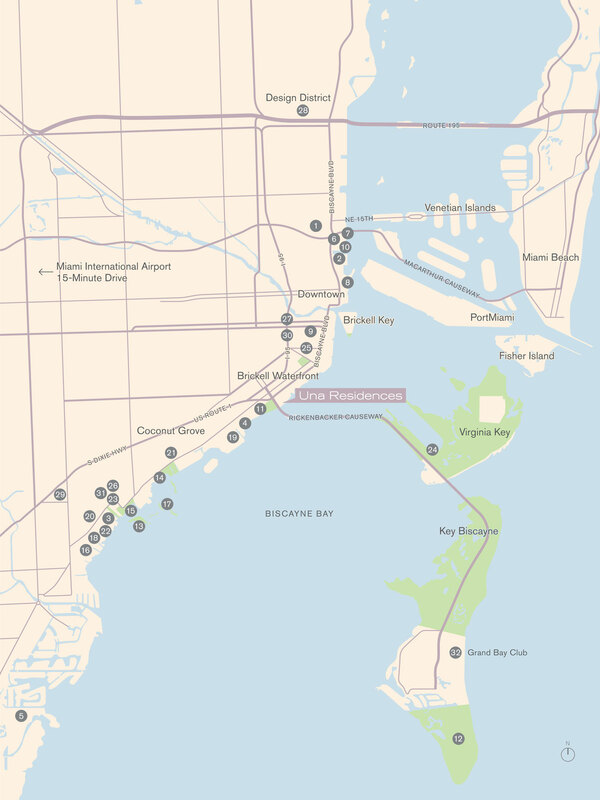 For jet setters, the Miami International Airport is only a short drive away. 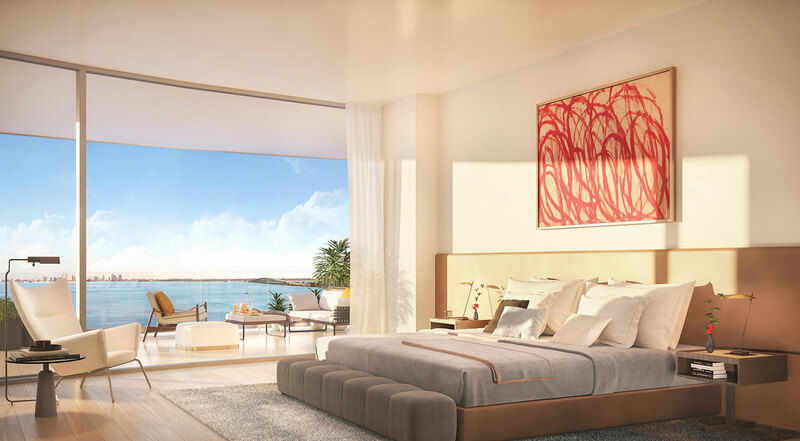 With its own boat slips and three levels of underground parking, Una capitalizes on this truly remarkable setting right on the bay, merely minutes from the seaside and the best of Miami.